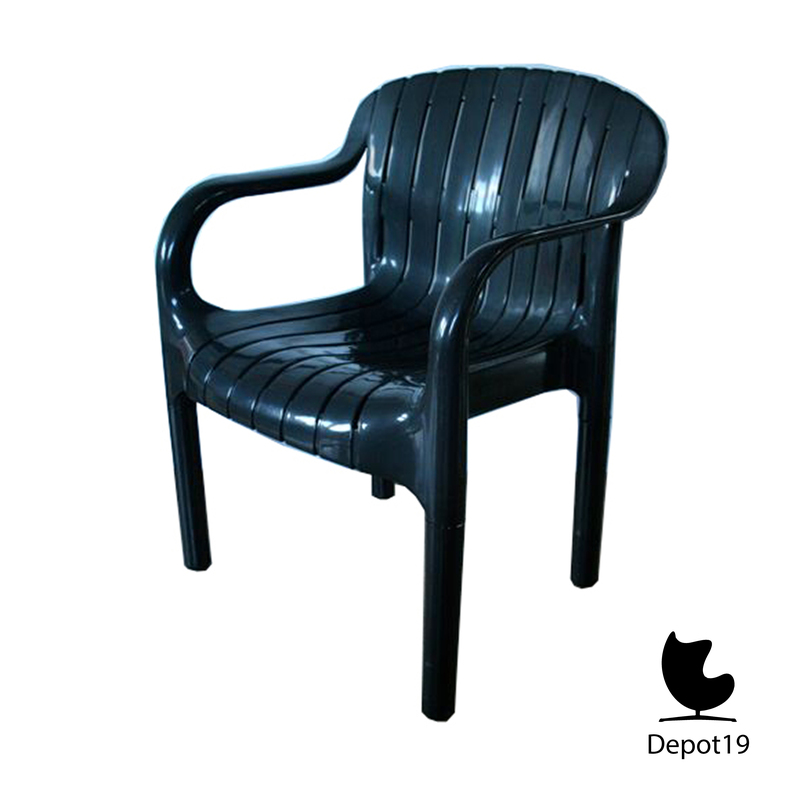 Vintage dangari chair by Pierre Paulin for Allibert designed in 1978. 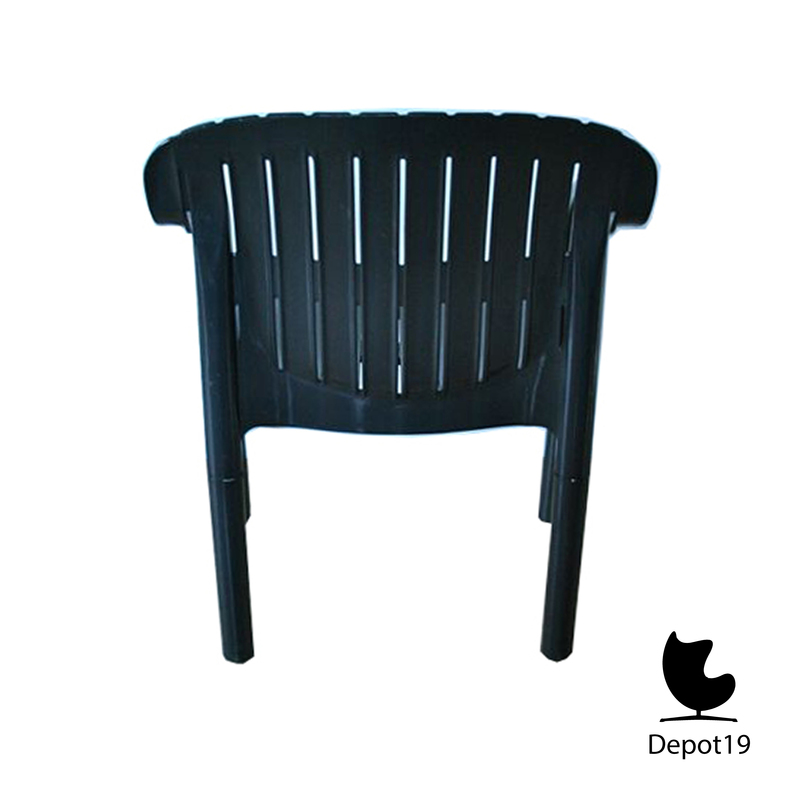 One of the first one-piece plastic molded chair a monobloc chair. This chair has a patent for CAN and USA dated 1980. The chairs have an excellent seating comfort. 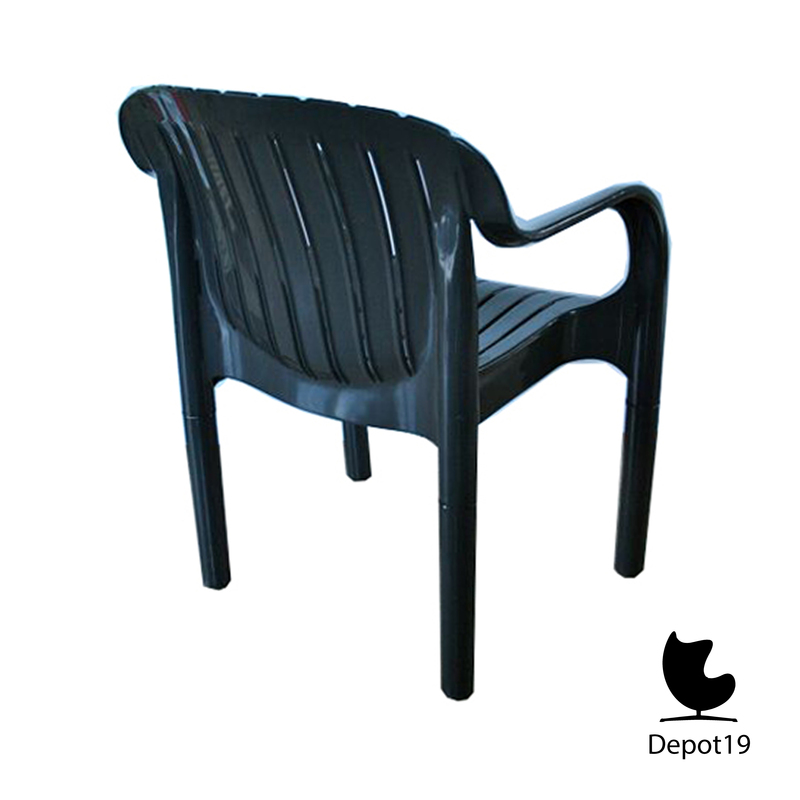 Dangari chairs are still made by Allibert, but they are currently only available in white plastic. These blue, anthracite-gray color is quite rare. 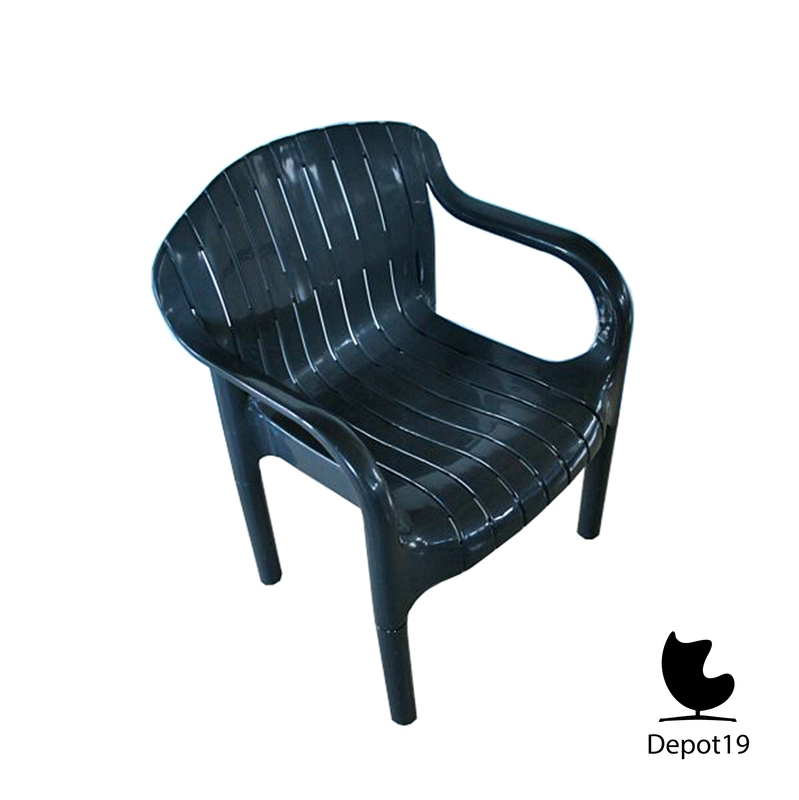 The chair is in a very good vintage condition. 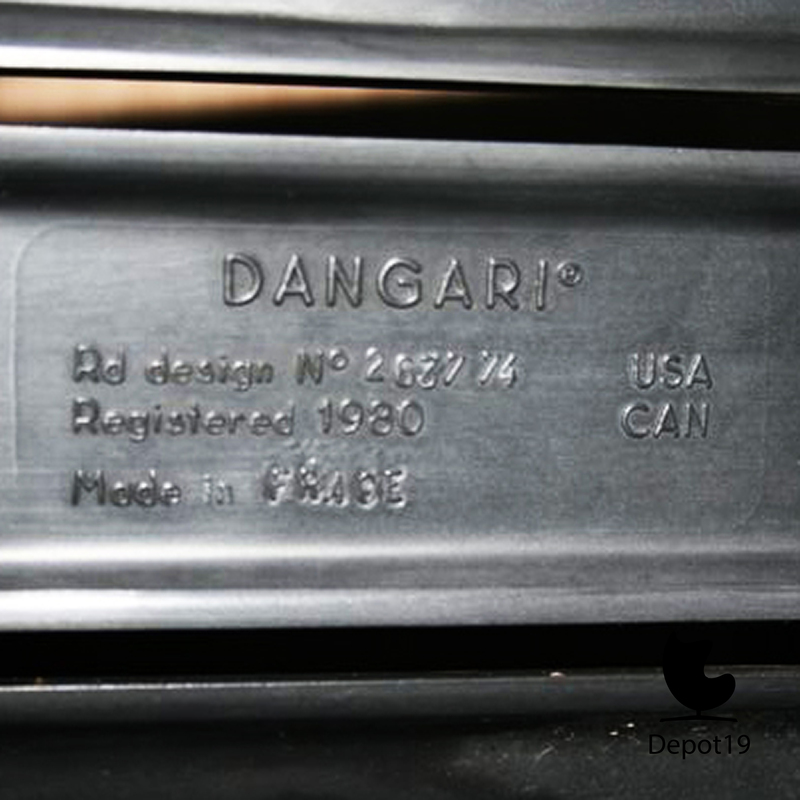 We have four Dangari chairs on stock. These chairs are hardly discolored thrue the years. Price is incl. VAT. and excl. shipping costs (opens in new screen). In stock: 4 When ordering more than 1, please contact us first. This product can only be ordered within the Netherlands.